Several people were held at knife-point Saturday after a man tried to carjack a woman and rob a gas station near San Jose City College. The suspect then barricaded himself inside the convenience store before he was apprehended by police. Several people were held at knife-point Saturday after a man tried to carjack a woman and rob a gas station near San Jose City College. 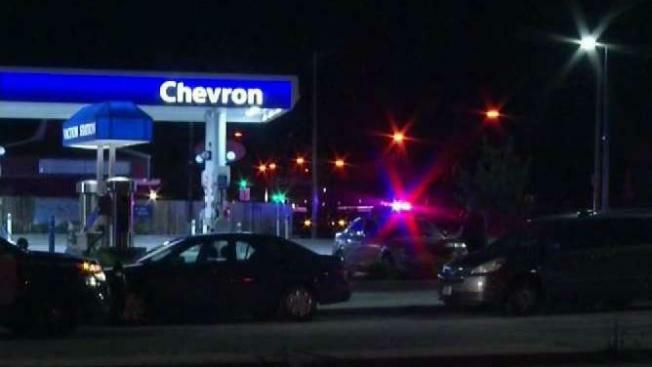 Police arrived at Chevron gas station on Fruitvale and Meridian Avenues at around 6 p.m. where the suspect allegedly tried to hijack a vehicle but failed. The armed suspect then ran inside the convenience store to rob it and he ended up locking himself inside, police say. Police soon showed up and arrested him. The suspect was injured as he attempted to climb the attic attempting to escape from police.